The Danish Landrace pig is a medium to large breed of pig, whitish in colour with long bodies, fine hair, long snouts and drooping ears. 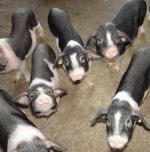 The Danish Landrace pigs are bred for pork production. Production and quality testing have become a regular part of the Danish swine improvement program. Primarily because of this breed, Denmark became the worlds chief bacon-exporting country and for many years refused to export purebred Landrace breeding stock to protect this position. 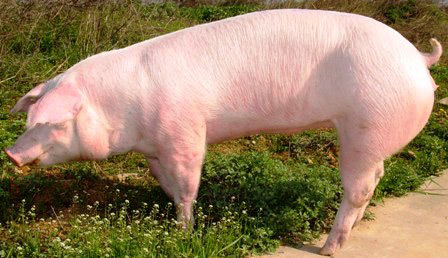 Danish Landrace pigs have been exported to the United States (see American Landrace), Canada, Brazil, Chile, Mexico, Japan, Taiwan, People's Republic of China, Philippines, Malaysia, Thailand, the former U.S.S.R., Albania, Hungary, Greece, Germany and several African countries.